Crystalline Gold Nugget - Ace of Diamonds Mine - - It's Free! Crystallized gold nuggets from the Ace of Diamonds Mine in Washington have great color and are very pure. Collectors and investors appreciate the rarity and the beauty of these gold specimens. 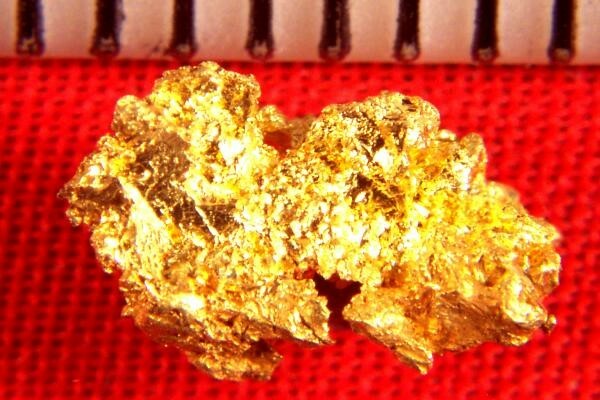 As the price of gold increases further, many more collectors and investors will enter the gold market, and because of limited supply, the price of these rare gold nuggets will skyrocket. 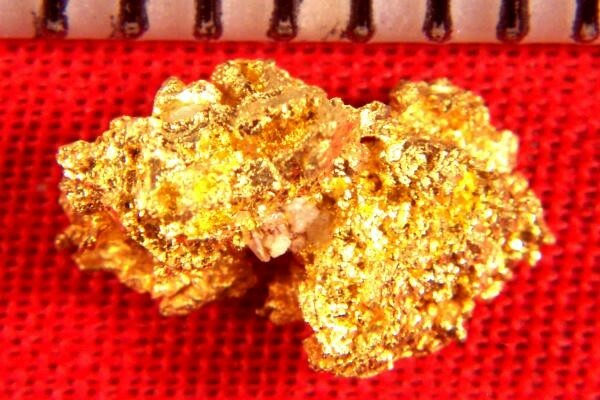 The weight of this fantastic gold specimen is 17.4 Grains (1.13 Gram), and it is 3/8" long.